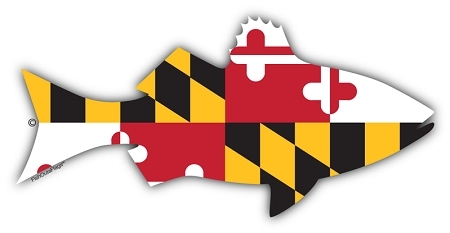 Maryland Flag meets Maryland Rockfish. Custom cut indoor/outdoor decals and magnets. Perfect for your vehicle, home or boat.